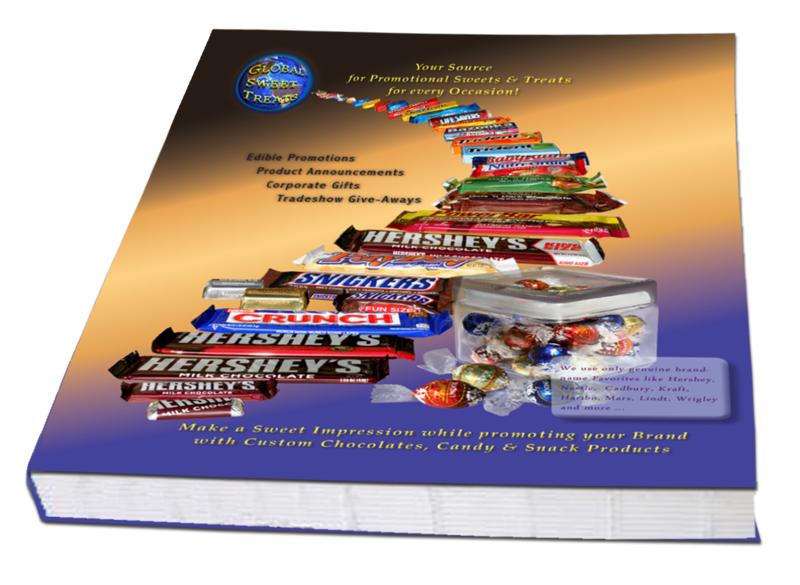 "Snack Size" Candy - also known as "Fun Size" can be just the right size tasty give-away. 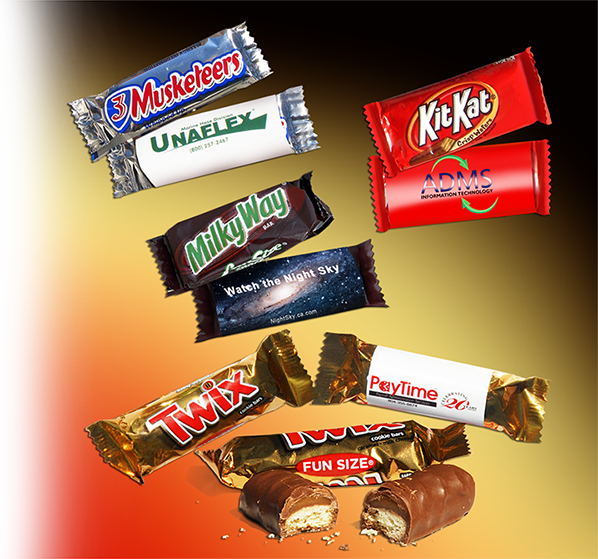 These Hershey, Nestle, and Mars products are much bigger than bite-size miniatures, yet smaller than their full-size version. Two to four snack size candies generally make up one serving size. If there is a particular mid-size bar that you need but don't see here, please call us. We can source just about anything, including imported specialties! Snack-size bars are not only fun to eat, they are perfect in size to have a quick little treat or to eat them by the handful ... Some people like them the way they are - whereas others prefer the elegant look of foil under their wrapper. 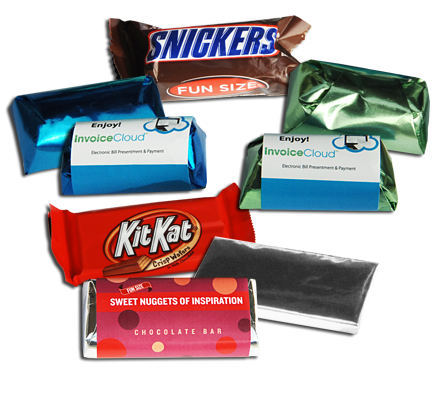 Most of the snacksize/funsize bars have quite irregular shapes, and even though they over-wrap nicely with your custom wrapper, they are often too small to cover up with a foil. For that reason the foil over-wrap is available for an additional 15 cents per piece. 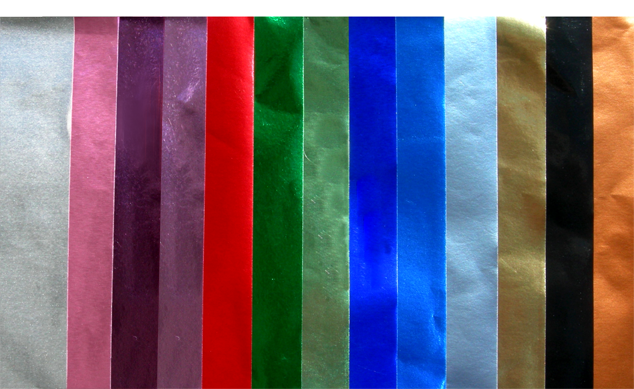 We have over a dozen foil colors to choose from.